MYTH #1: HOW MARKETERS AND SUBSCRIBERS DEFINE SPAM IS THE SAME. When it comes to spam, marketers and subscribers often feel differently. When you’ve put so much hard work into an email, the last thing you want is to be labelled a spammer. Your subscribers likely define spam as any kind of unwanted or irrelevant email. MYTH #2: UNSUBSCRIBES ARE THE WORST THING THAT CAN HAPPEN TO YOUR SENDER REPUTATION. Let’s dispel this myth once and for all: unsubscribes and unsubscribe rates via the direct unsubscribe link in your email have no known effect on your sender reputation or deliverability. It can actually be a good thing—your list is now cleaner and more targeted toward the people that do want to receive your emails. Marketers often focus on pleasing everyone, when we actually make the most impact building a community of people who love what we do. A clean and engaged email list is essential for successful campaigns because it can lead to increased open rates, click rates, and other measures of success, as well as a decrease in bounces. 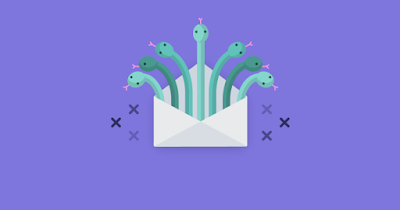 If you’re sending to subscribers who want to opt-out from your emails, but can’t find the unsubscribe button, then you could see an increase in spam complaints (not ideal!). For that reason, it’s a good idea to make it easy for subscribers to opt-out by including clear and simple unsubscribe links at the bottom of your email. Making these hard to find can cause angry subscribers to mark you as spam. Streamline the process. Including multiple, complicated steps doesn’t work well because you’re competing against the power of the one-click, never-fail “report as spam” button. MYTH #3: NEW OR MORE IP ADDRESSES CAN SOLVE ALL YOUR DELIVERY ISSUES. A common misconception is that by using a large amount of of IP addresses to send email, you can fly under the radar at the ISP to achieve better deliverability. An IP address is a number that uniquely identifies any device connected to the internet. “IP” stands for “Internet Protocol.” Similar to how a street address helps people find buildings, an IP address helps computers find each other on the internet. This tactic is sometimes referred to as “snowshoeing,” and while it might provide temporary relief, it’s a practice that inbox providers and ISPs can spot fairly quickly, and one we don’t recommend. Changing your IP address or domain in an attempt to work around being blocked or blacklisted won’t necessarily solve your problems either. With the adoption of domain-based reputation and other fingerprinting techniques, ISPs can spot these tricks easily. Without fixing your root problem, you’ll be right back to square one. In addition, most email service providers (ESPs) won’t provide you with additional IP addresses without a clear business justification. There are a few legitimate reasons to change your IP address or add more, however, such as acquiring a new company, changing ESP providers, rebranding, or sending a completely new type of email, like transactional emails. If you’re not using an ESP but are sending on your own, you can technically do whatever you want, but it’s still not a recommended practice. To fix your delivery issues, you need to change your behavior. If you don’t, then your new IP addresses will quickly become as sullied as your old ones did. Sending better, more relevant email and using solid permission practices are the best ways to improve your delivery. It’s what’s going through that IP address that matters, so looking long and hard at your sending practices and email programs can help fix deliverability issues. MYTH #4: YOU ONLY HAVE TO FOLLOW THE SPAM LAWS OF THE COUNTRY YOU’RE BASED IN. No matter where your business is based, you must follow any international laws that apply to your subscribers. This means that if you have subscribers in Canada, Germany, and the U.S., for example, you must follow CASL, the EU Opt-In Directive, and CAN-SPAM, since those laws govern each of those countries. Now, we’re not lawyers, but by making sure you have permission and staying honest about your intentions when it comes to email will go a long way not just toward complying with the law, but with sending better email, too. MYTH #5: YOU SHOULD NEVER USE ALL CAPS, EXCLAMATION MARKS, OR THE WORDS “FREE” OR “BUY NOW,” BECAUSE THESE WORDS TRIGGER SPAM FILTERS. This myth applies to myriad additional spam filter “trigger words” that simply don’t exist. Though content does play a role in determining what is marked as spam, that doesn’t mean you can’t use exclamation marks or certain words. It’s all about context. Copy like “Make money fast!” and “Work from home” can trigger a spam filter, but only if you have previous poor sending practices. It’s not that you can’t advertise your pricing and offerings, but the more your emails can add value for your subscribers rather than selling to them, the greater the chance that you’ll land in the inbox and not the spam folder. Either way, we don’t recommend constantly banging the “buy, buy, buy” drum because it might not be relevant or helpful to your subscribers. Aggressive sales-based campaigns can turn off your audience and cause them to unsubscribe, delete your email, or worse—mark you as spam. Education. Why do your consumers need this product? How will this help solve their day-to-day problems, and what are some other topics they should learn more about? How-To. Similar to education, how-to advice helps your subscribers follow through once they learn what they don’t know. News & Information.Provide updates on new features, changes to your offerings, sales, and what’s going on in the industry. Social Interactions. Bring the voice of the customer into your messaging by encouraging social interactions or starting on conversation in the community. Cause Marketing & Branding Building. What does your company care about besides selling things? To be clear, using a soft sell doesn’t mean you won’t be marked as spam if your subscribers find your emails intrusive or irrelevant. Turning your copy away from “Buy now!” and toward “Did you know…” can help keep you out of the spam folder, but it can also help your engagement, too. If you’re not sure where to start, check out this guide to writing sales emails that aren’t salesy. MYTH #6: THE PROBLEM MUST BE WITH THE INBOX PROVIDER. If you’re having issues getting your emails delivered, it can be easy to blame inbox providers, or ISPs. “ISP” has several meanings in the email industry. It can refer to companies that provide mailboxes to end users as part of their paid services. These are generally your cable or internet providers, such as Comcast and Verizon. It can also refer to free webmail providers like Gmail and Yahoo. While outages and issues can occur, in most cases the reality is that the issue is with your permission practices and your campaigns, not the ISP. Petitioning an ISP to remove blocks or calling their help desk won’t fix your problem. Did something specific change? Is my list criteria different, or have I changed my email frequency? Have I implemented a new policy or other framework? Have I been paying attention to my email list hygiene? Do I have a large group of inactive subscribers? Have I been doing the same thing over and over again and not changed? Am I not targeting emails based on subscriber behavior, cleaned bounces from my list, or updated my opt-outs? Have I recently opted-in a large number of people through a sweepstakes or other giveaway that may have caused an increase in spam complaints? You can generally pinpoint most problems to either a specific change or the exact opposite—a significant time period where you haven’t changed anything. For instance, if you send out the same exact email coupon every single day for 40% off, you’ll eventually bore your subscribers enough that they might mark you as spam. Sending the exact same email or offer multiple times isn’t making the most out of the personal, relevant nature of email. Get creative with your next campaign and take the time to delight your subscribers. MYTH #7: THE PROBLEM MUST BE WITH THE EMAIL SERVICE PROVIDER. Similar to the ISP myth, it’s tempting when something’s gone wrong to have a knee-jerk reaction that “it’s not my problem.” While most reputable ESPs will work with you directly to interpret your deliverability issues based on available metrics, there are a few that perpetuate this myth by promoting that they guarantee high deliverability rates. Issues can happen, but ultimately, deliverability issues come down to the quality and integrity of your mailing processes. If you’re thinking that changing ESPs will help with deliverability rates, that’s not the case. If you’ve had deliverability problems before, they’re likely to follow to your next ESP. If you’ve recently changed ESPs and didn’t encounter issues before, it may be that you used to be on a shared infrastructure and are now on your own, or worse—the problems were there all along, but you didn’t have insight into the reporting. Your ESP can’t wave a magic wand, but they can be your partner in identifying what the root cause of your issues are, and help you put a plan in place to fix them. While they will work on your behalf and will help you resolve some issues, the ultimate effort is on you. Unfortunately, as much as we will it to be true, there is no easy way out—though there can be some short-term band-aids, deliverability is a long-term endeavor. Only you have the power to change it.